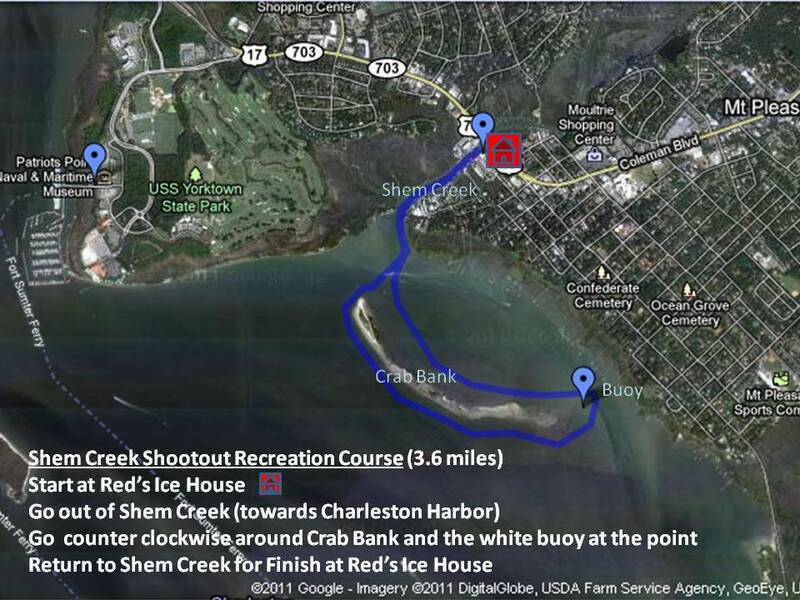 The Shem Creek Shootout starts tonight with a pre-party/late registration at Red's at 6pm. Come by and get your race packets and for some food and drinks sponsored by David Clifford at Charleston Watersport. Race meeting is tomorrow morning at 8:00 am and the races begin at 9:00 (maps below) and the party follows (around 11:00). Sunday will be fun day at Station 30. 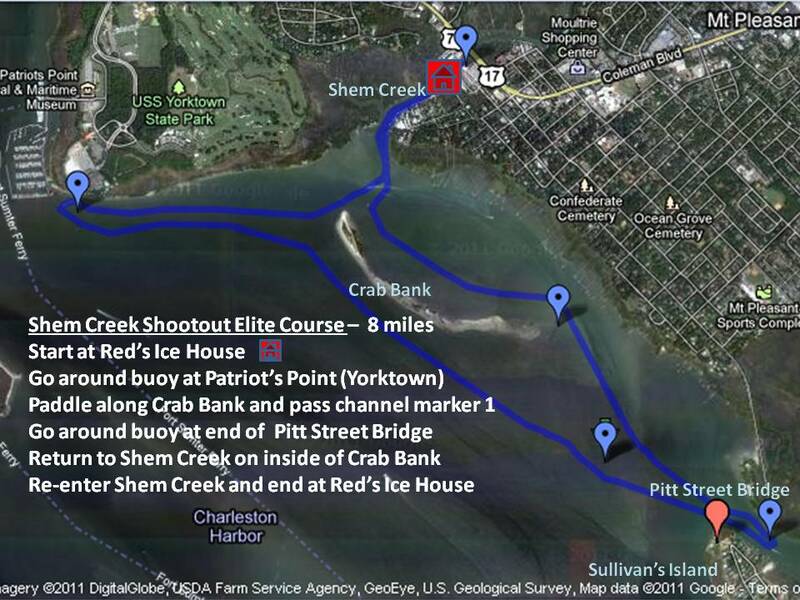 Come out and bring your friends and family for all of it whether you plan to race (and you should) or just watch. This event benefits Wounded Warrior and will bring in paddlers from all over. Thank you in advance to all of the awesome volunteers. We could still use some help with photos and a few other jobs if you want to help out in exchange for a t-shirt, party pass and many thanks. Let me know. Upcoming Events - There is so much going on, but here are just a few of the fun things to hit this week!